WPP shop became football brand's first ad agency in 2016. The Premier League is reviewing its advertising account, putting VMLY&R on alert. England’s top-flight football competition has contacted agencies about the business and is expected to put out a request for proposals in the coming days, with a view to making an appointment in March. It is a statutory review that comes after three years since the last pitch for the business. VMLY&R (then Rainey Kelly Campbell Roalfe/Y&R) will repitch for the business and has held the account since 2016, when it was appointed the Premier League’s first creative agency of record. The agency was given responsibility for the Premier League’s advertising, digitial and social activity, while WPP stablemate Wavemaker handles media planning and buying. The Premier League chose to start commissioning brand advertising after dropping a title corporate sponsor in 2016 for the first time in 23 years. In 2017, it launched its first ad campaign, with a TV spot starring Premier League players showing off their skills to schoolchildren and reciting an inspirational poem. 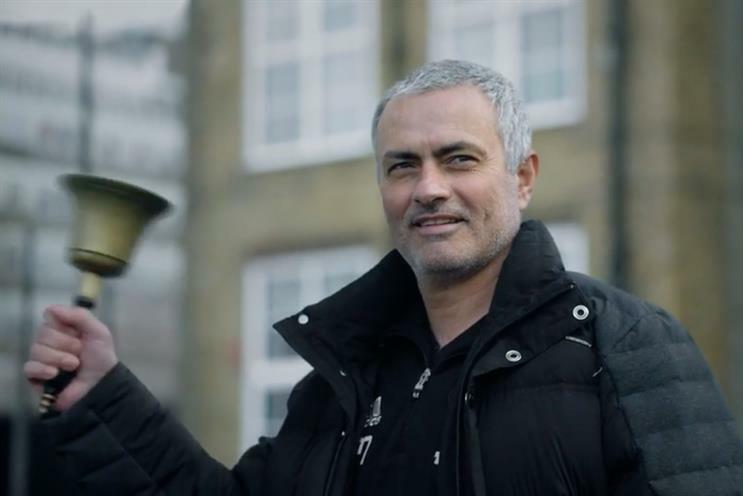 The ad also featured then Manchester United manager José Mourinho, known for being an aggressive disciplinarian, ringing the school bell.